Black Leather. Recent Arrival! 2019 Mercedes-Benz SL-Class 2D Convertible Obsidian SL 450 3.0L Bi-Turbo V6 9-Speed Automatic RWD Call us today to schedule a hassle free test drive! We are located at 6455 Dallas Parkway, Plano, Texas 75024. 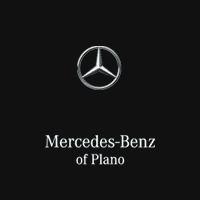 Visit us online at www.mbplano.com. We offer free airport pickup. We can help facilitate low cost shipping directly to your door. Come see how easy it is to do business with the Ewing Automotive Group.Black Leather. Black Leather. 2019 Mercedes-Benz SL-Class 2D Convertible Graphite SL 450 3.0L Bi-Turbo V6 9-Speed Automatic RWD Call us today to schedule a hassle free test drive! We are located at 6455 Dallas Parkway, Plano, Texas 75024. Visit us online at www.mbplano.com. We offer free airport pickup. We can help facilitate low cost shipping directly to your door. Come see how easy it is to do business with the Ewing Automotive Group.Black Leather. Black Leather. 2019 Mercedes-Benz SL-Class 2D Convertible Desg Selenite G SL 550 4.7L V8 BiTurbo 9-Speed Automatic RWD Call us today to schedule a hassle free test drive! We are located at 6455 Dallas Parkway, Plano, Texas 75024. Visit us online at www.mbplano.com. We offer free airport pickup. We can help facilitate low cost shipping directly to your door. Come see how easy it is to do business with the Ewing Automotive Group.Black Leather.